Associates of Red Sox owner John Henry say the trajectory of his firm, John W. Henry & Co., changed when Henry turned his attention to baseball full time. 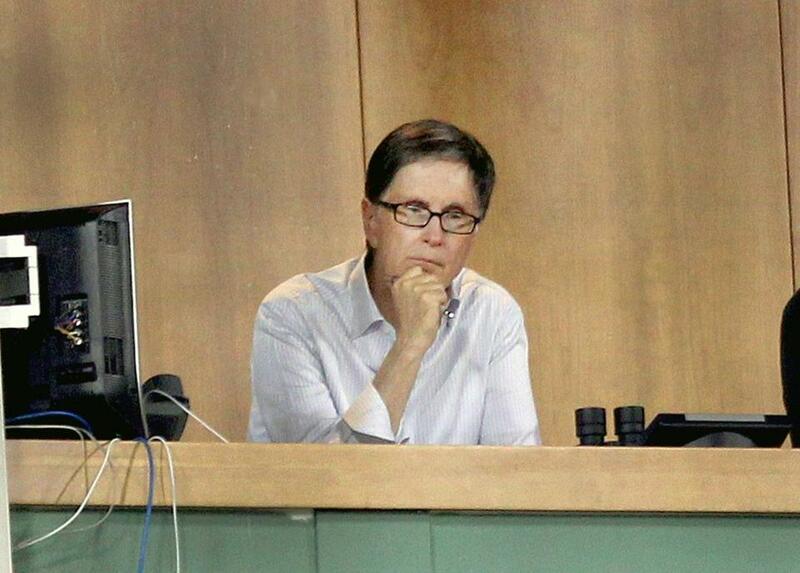 Red Sox principal owner John Henry is shutting down his Florida investment firm, a business that once had $2.5 billion under management and helped him build a formidable sports empire, but never came back from declines during the financial crisis. With less than $100 million in funds left, Henry said his firm, John W. Henry & Co., has told clients it plans to return the rest of their money by year’s end. The Boca Raton, Fla., company, founded in 1982, will continue to manage Henry’s personal account. Henry, 63, in response to questions from the Globe, said in an e-mail Friday that he has not run his hedge fund firm since 1989, but it has “always had a mathematical approach and a philosophy that hasn’t changed.” The markets have changed, however, making it harder to make money. “It is clear that economies are much more managed than they were,’’ Henry said. Henry acknowledged Friday that the firm’s decline has spurred a number of people to approach him about selling his Sox stake, but he said he has rebuffed them. There was speculation in September that Henry’s investment firm’s struggles might mean he would lack the resources to support the Sox and another team he owns, the Liverpool Football Club in England. But people close to Henry said most of his wealth is now in his sports teams, not in the Florida firm. Partners in the Red Sox said Henry’s focus has long been on baseball, and not on the commodities firm where he made his fortune. Some suggested it would be a relief for him to fully exit the investment business, given the pressures on the Red Sox after a miserable baseball season in which they finished last in their division, despite having one of the biggest payrolls in the league. On Friday, Red Sox chairman Tom Werner reiterated Henry’s commitment to the storied franchise. “I know that John doesn’t have any intention to sell either the Fenway Sports Group or any portion of his shares,’’ Werner said in an interview. 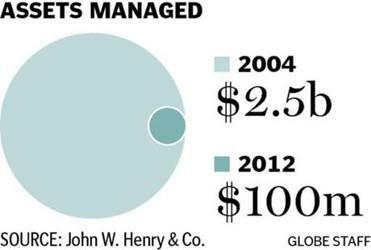 Henry and Werner are the largest owners of Fenway Sports Group, a company they created when they bought the Red Sox in 2002. It also includes ownership of Fenway Park, the Liverpool soccer club, 80 percent of New England Sports Network, 50 percent of a NASCAR race team, and other assets. The Red Sox were valued at $1 billion last year by Forbes magazine. Henry and others bought the team for $380 million, and it won the World Series two years later, in 2004, breaking an 86-year-old drought. A college dropout who grew up on a farm in Arkansas, Henry was a self-taught investor. He developed an appreciation for the commodities markets at a young age, figuring out how to sell soybeans. He built a successful firm on a brainy, numbers-intensive approach to speculating in commodities where he could make money betting that prices would rise as well as fall. Assets at the firm rang up to $2.5 billion in 2004, faring best in times of economic or political turmoil, when other investments tend to suffer. But by 2009 assets had declined to $188 million, and the business never recovered. Associates say the firm’s trajectory changed when Henry turned his attention to baseball full time. Some clients left the firm, aware that he was focused elsewhere; later, performance started to fall off, and then the financial crisis hit. In November 2009, the Globe reported that Henry had laid off nearly one-third of the staff at the firm, or eight people, leaving 20. On Friday, The Wall Street Journal first reported the closing of the firm. Recent performance is down by double digits in two of the funds John W. Henry & Co. oversees — one by 32 percent over the past year, according to the firm’s website. Over three years, the funds are down 6 percent annually, although longer term the funds look better: producing 8.9 percent average annual returns over five years, versus 1 percent for the stocks of the Standard & Poor’s 500 index.